Jack Ryan Season 2 Greenlit Early | Nerd Much? 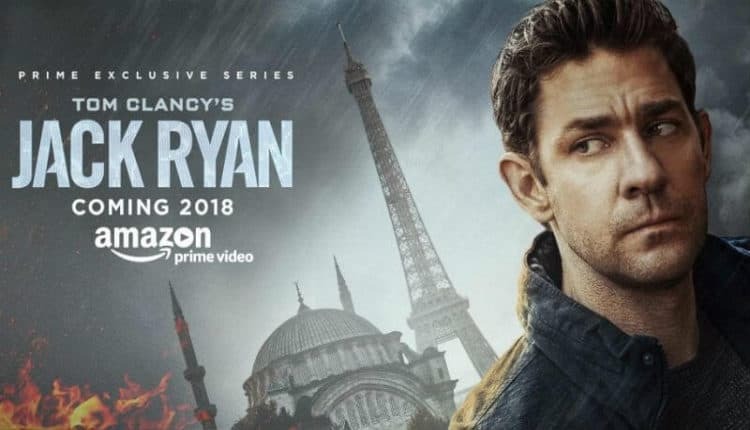 Amazon must be quite confident in their upcoming series adaptation of Jack Ryan. That, or they’re really riding the John Krasinski wave right now. Amazon Studios has announced that Season 2 of the show has already been confirmed. 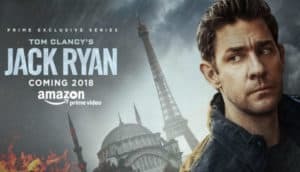 The upcoming series, officially titled Tom Clancy’s Jack Ryan, isn’t poised to debut on the streaming platform until August 31st. The outlet is hoping to take advantage of those capable of bingeing the show during Labor Day weekend. The show comes to us from Carlton Cuse (Lost, Bates Motel) and Graham Rolan (Almost Human). It’s being co-produced by Paramount Television and Skydance Television. Amazon states that following the show’s trailer which aired during the Super Bowl, Amazon Prime received a 400 percent increase in members. In addition to Krasinski’s Ryan, the show will also feature Abbie Cornish (Three Billboards Outside Ebbing, Missouri) and Wendell Pierce (The Wire). While it’s nice that Amazon is confident in their upcoming series, you can’t help but think that the studio is also backing Krasinski during his current Hollywood hot streak. The actor/director’s A Quiet Place received rave reviews and opened to a $50.2 million weekend. The movie’s budget came in at $17 million.